Some of the most important training a dog will ever receive is the learning of manners. I’ve met some amazingly talented obedience dogs who have no basic manners and others who have no official obedience training but excel in the manners department. So what are the manners that we want to instill in our dogs? The first would be not to take our food from us. Which is not the same as not begging. To me begging is a non issue; it is our dog wanting our food but waiting until we give it to them, just like in the wild. Of course if your dog is accustom to getting food from you when you are eating then they are going to hang around and wait for it. Other manners include not stealing from the counter tops or coffee tables. Not jumping all over guests when they come over to visit. And pretty much any rule that you the guardian would like followed in your life. Sitting before going out or in a door and not barging through; knocking everyone over. That would be considered a manner. Teaching manners is easiest when you start right from the get go. If you don’t want your dog on the couch then don’t let your puppy on the couch. If you don’t want your dog to steal food from the counter; then start training now as they join your family. Having a dog who is mannerly is very enjoyable. But manners take time to learn and to teach. To start off we need to figure out what we’d like as far as general manners in our home. Once you have that, it is time to hire a trainer and get to work on manners. Sometimes manners are easy, often they can take some work to instill. But teaching your dog manners is really important and you will both benefit from. I love getting comments from you all; leave one if you’d like, please. 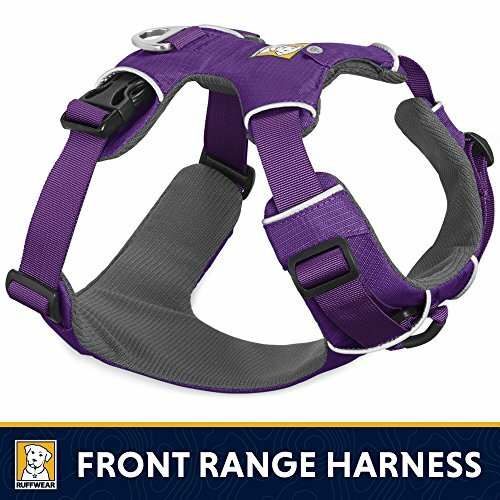 I highly recommend this harness; it is what Elsa and Riggs wears on our daily adventures.